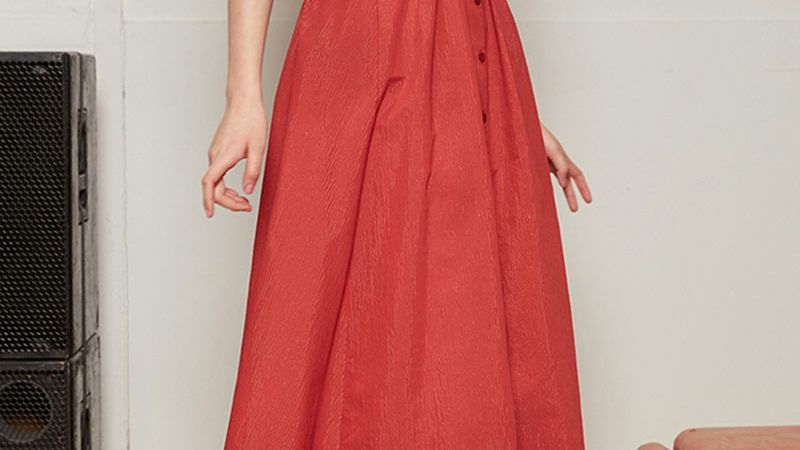 Gabriela Hearst - Gabriela Hearst's ruby-red Janis midi dress is captured in the Resort 2019 lookbook and epitomises the collection's meticulous construction. It's crafted from rich shantung with a narrow bodice punctuated by intricate pleats - mirrored in the sleeves and on the back - and falls to a loose skirt. Style it with white leather mules to spotlight the vibrant hue. Navy silk short-sleeve midi dress from Gabriela Hearst.